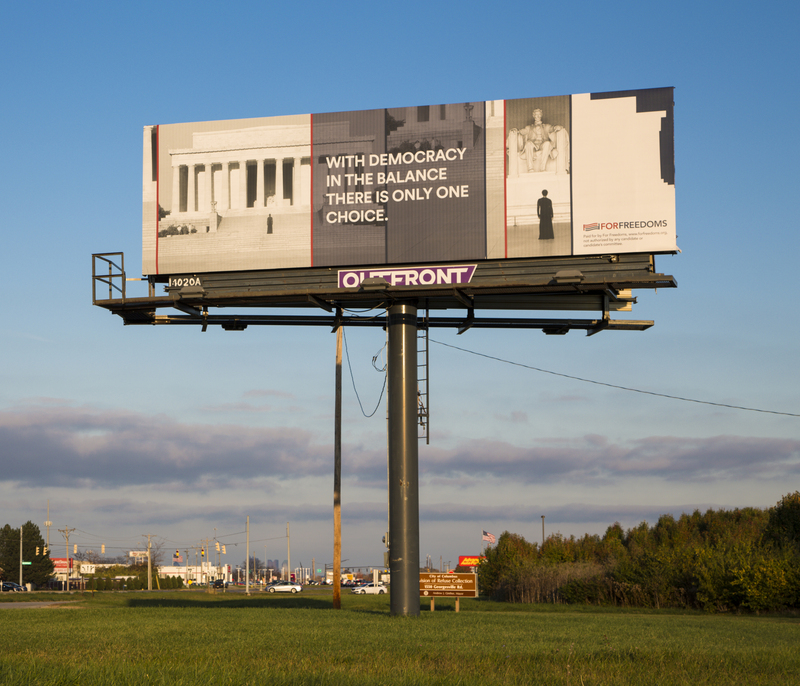 Dec. 5, 2018 at 7 p.m. to Dec. 8, 2018 at 11 p.m.
All of the For Freedoms 50 State Initiative billboards are being displayed at ArtBasel Miami in the breezeway adjacent to the Betsy Hotel between Collins Avenue and Ocean Drive. On display are 150+ images by all of our billboard artists from the 5th to the 8th every night from 7pm to 11pm. In addition, there will be a For Freedoms Town Hall on Friday, December 7, 2018 at 1:00pm at The Gallery at The Betsy Hotel.